More and more health benefits are being proved about traditional sourdough. 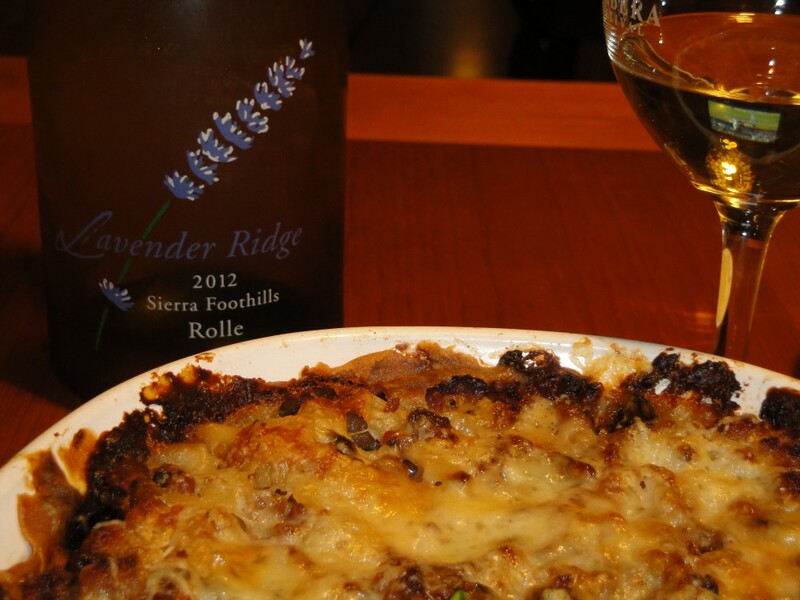 * This lasagna is complex rich and incredibly satisfying. 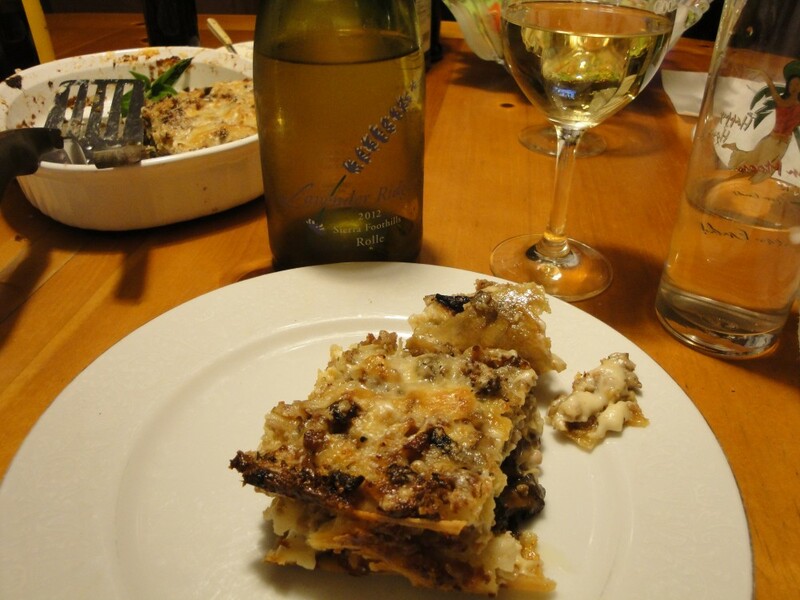 The flavors, the home-made cheese, delicate home-made fresh pasta, Béchamel sauce, farm-stead raw milk Fiscalini cheese and homestead sausage come together with gusto leaving a rich lingering mouth feel. 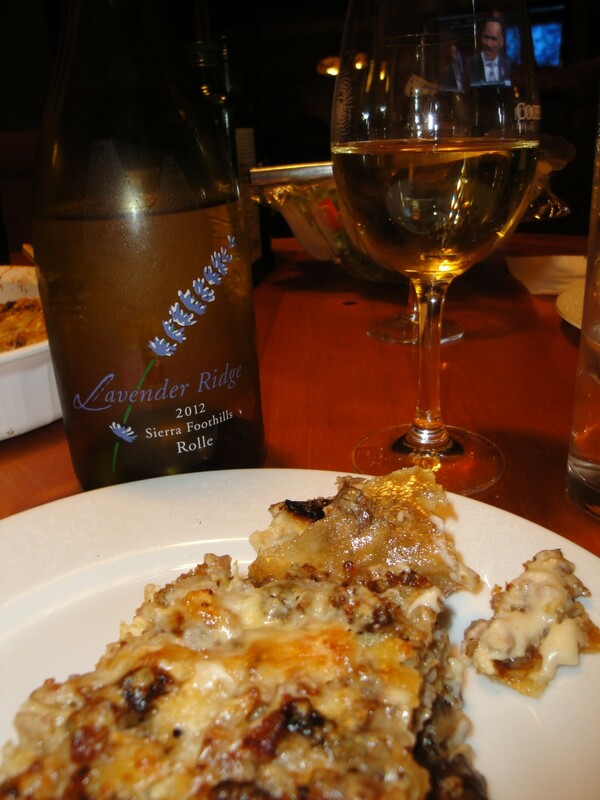 The Lavender Ridge Rolle wine, with it’s visquis feel and smooth creamy fruit played up both the lasagna and wine’s complex flavors. 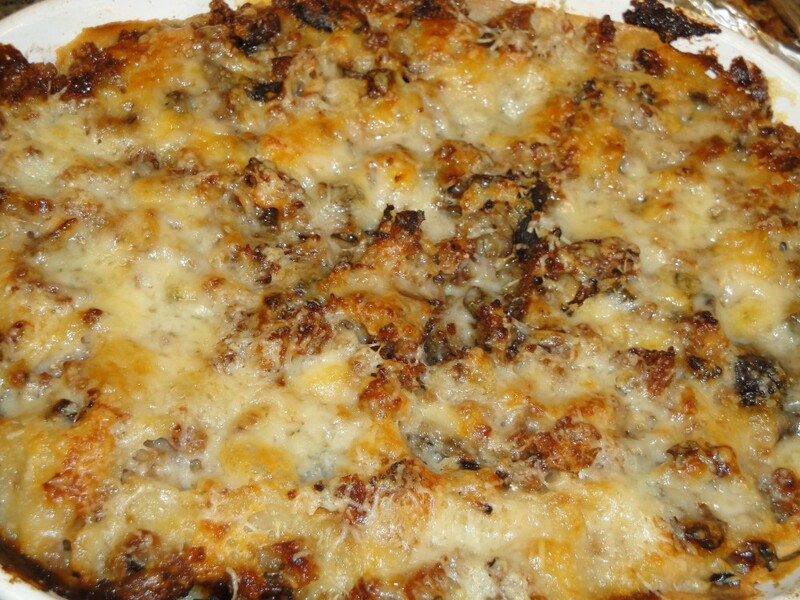 Bubbling cheese, crisp pasta edges on top, and succulent tender layers inside make it almost impossible to stop eating. 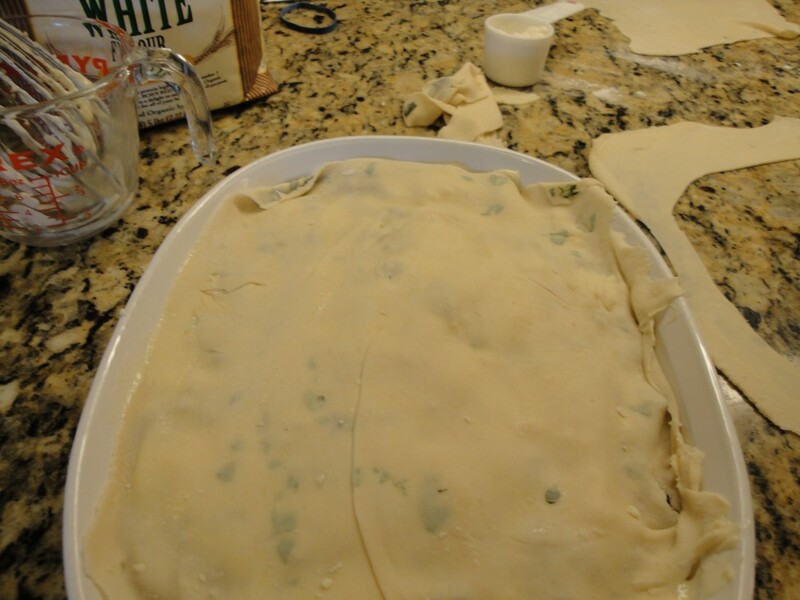 The first three recipes are parts to the whole lasagna dish and can be made ahead. 1. Make cheese (best a day or more ahead). Click on picture to see recipe. Option use Fiscalini Scamorza mozzarella or other whole milk mozzarella or ricotta, best made from farmstead raw milk organic non-GMO, from pastured cows. 2, Mix sourdough pasta sponge 24 hours ahead. Click on picture to see recipe. 3. Make beef bone broth 1 week to months ahead. Click on picture to see recipe. To Make Béchamel or White sauce, click on picture for recipe. 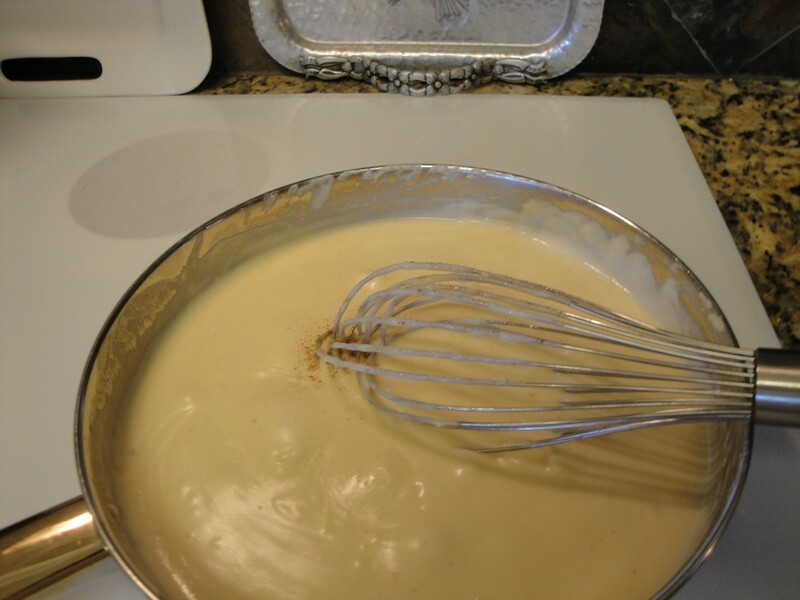 Béchamel or White sauce To Make Béchamel or White sauce, click on picture for recipe. Make cheese (best a day or more ahead). Click on picture to see recipe. For other options use Fiscalini Scamorza mozzarella or a equal quality mozzarella, best made from farmstead raw milk organic non-GMO, from pastured cows. 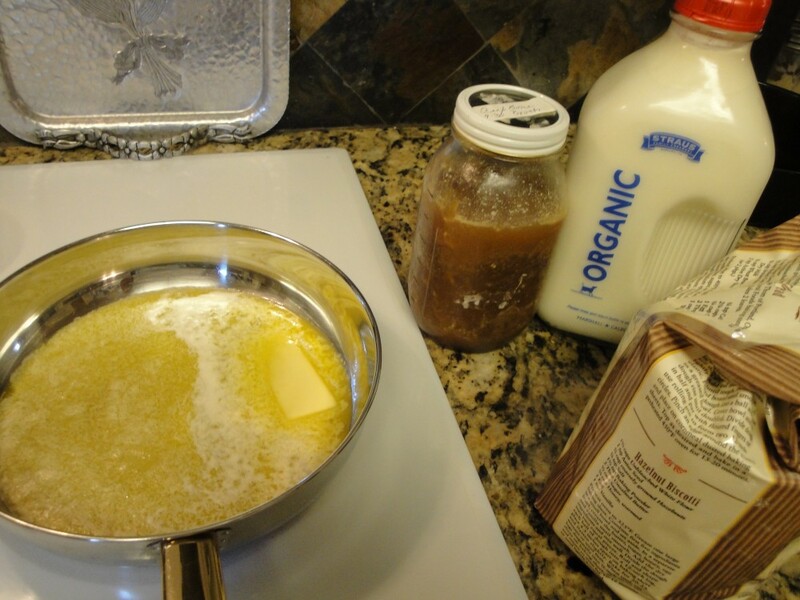 Sweet butter best to make your own, or recommend *Straus or *Kerrygold, both from grass fed cows. Brown meat and let cool to touch. 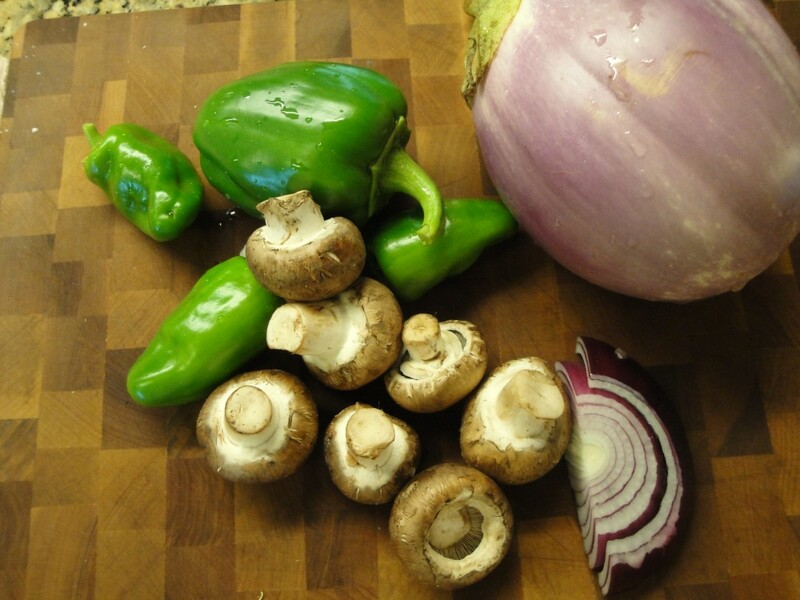 Clean and chop vegetables and spread on to a baking sheet. Splash with olive oil, balsamic vinegar, salt & pepper. Toast in a medium oven tossing every 5-10 minutes for even browning. 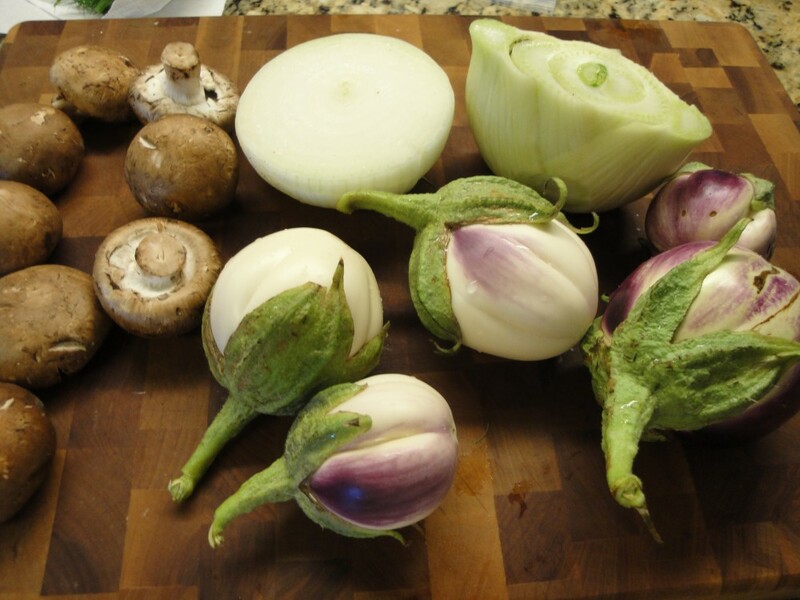 After 25-45 minutes, the vegetables should be nicely browned like in the picture above. Add garlic for the last 5 minutes. 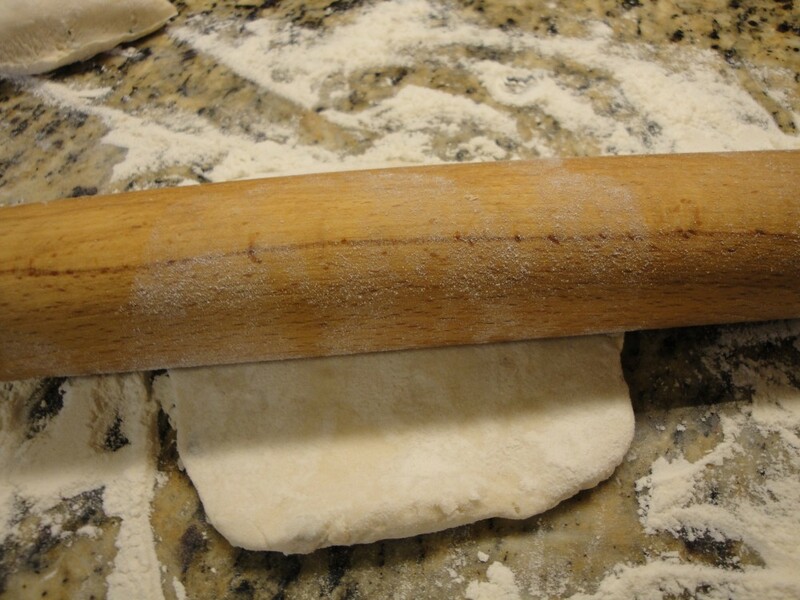 Roll out pasta in sheets about 1/8 inch thick. Just bigger than dish. Dish pictured is 8&1/2×11 inch, 2 deep. 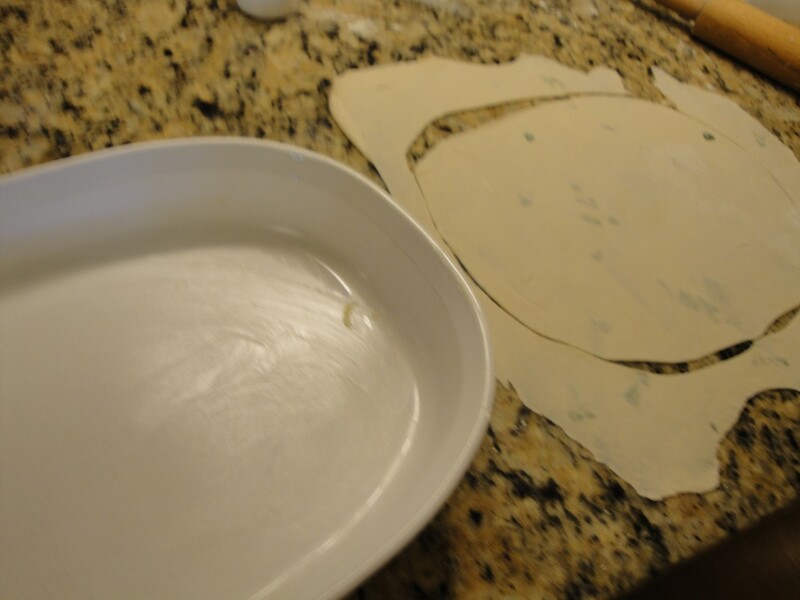 Use the upside down dish as a template, cut at least four. 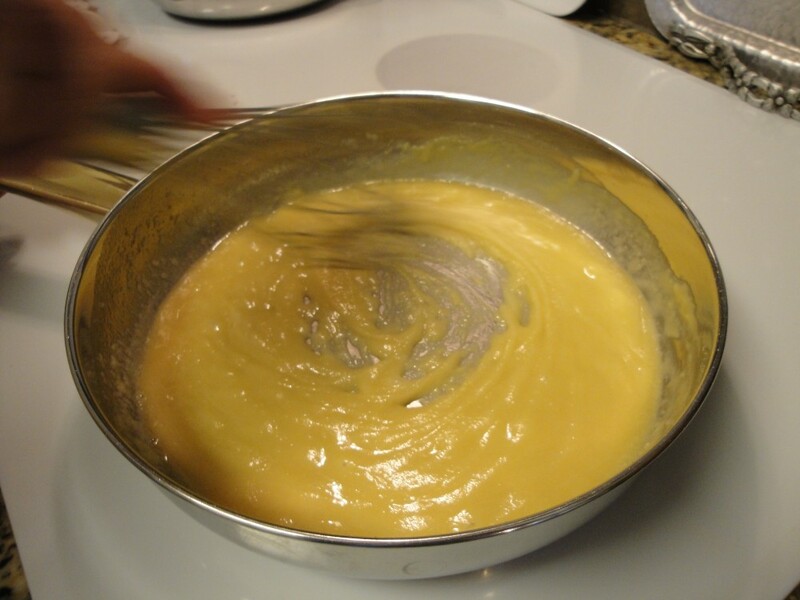 Rub butter on bottom and sides of dish. 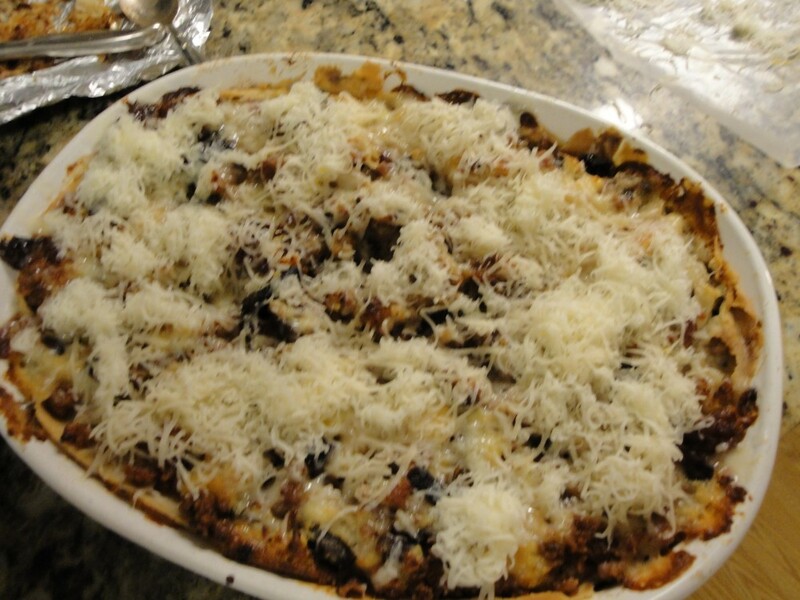 Start with the pasta, then a layer of vegetables, then meat, then dots of the soft cheese. 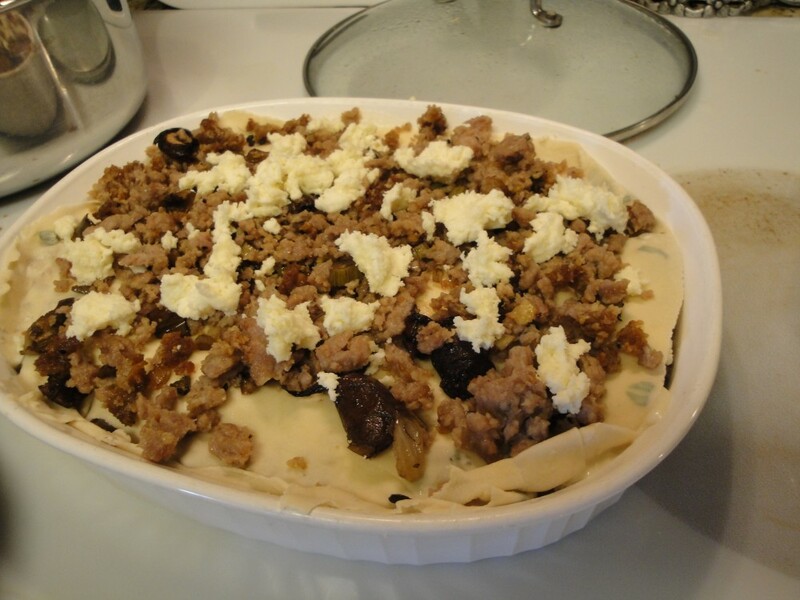 Repeat until dish is filled ending with the vegetable, meat cheese layer. For a little lagniappe I added some cracklings let over from lard making, which gave some crunchy texture, like a tasty little surprise in each bite. Bake in a pre-heated 325 degree oven for around 45 minutes, check for golden brown color on top, then cover with the hard cheese and bake 15 more minutes.